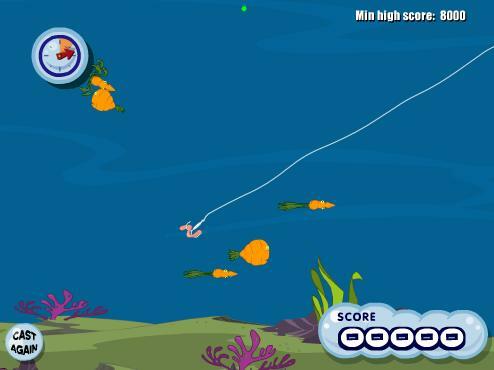 Play free Bugs Bunny Gone Fishing Online games. 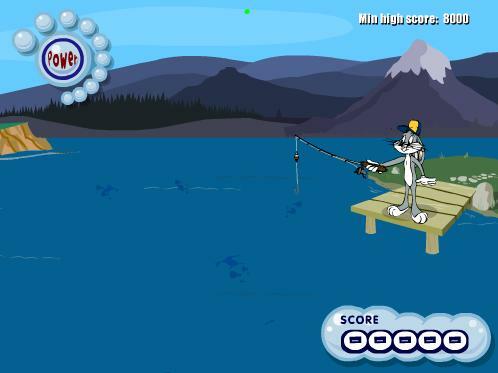 Bugs Bunny gone fishin' free online game. To cast Bugs Bunny fishing line, click and hold the mouse button on the fishing rod. Drag the mouse accross the screen and release the button to cast. Once under under water click the mouse to jiggle your bait and attrack fish. Once the fish bites, click the mouse to hook and reel. Credit: Warner Bros Looney Tunes & thanks for hosting djidjibidji.com.